On January 22nd, the new 2017 USPS rates will take effect. Below are detailed breakdowns for each service level. For 2017, the USPS will only be updating shipping rates to their domestic services, keeping international rates the same. We’ve outlined the changes below, at the lowest commercial tier pricing for each: Commercial Base Pricing (CBP) for First Class Package Services and Commercial Plus Pricing (CPP) for Priority Mail services. We provide CBP pricing for First Class for all Shippo users and up to CPP for Priority Mail based on your monthly shipping volume. 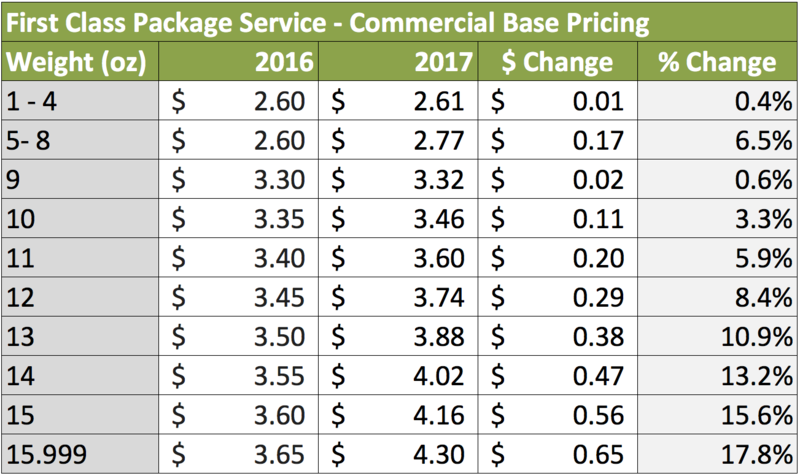 Even with 2017 price increases, First Class Package Service continues to be the cheapest way to send shipments below 1 lb. The most significant price increases are for packages greater than 10 oz. 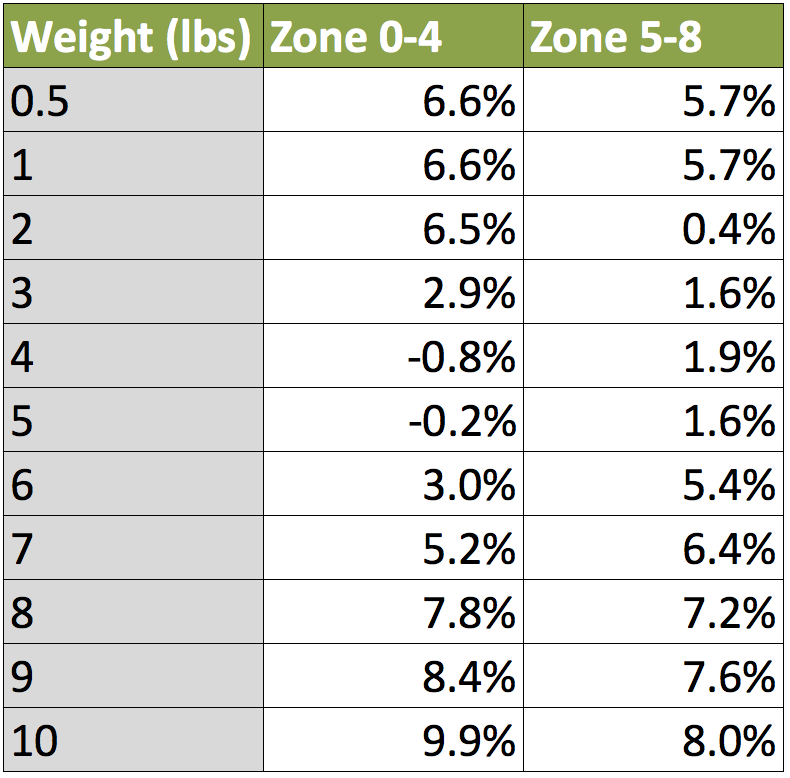 Below we averaged out the increase in cost (displayed above) from 0.5 - 10 lbs. grouped across Zones 0 - 4, and also Zones 5 - 8 for your reference. As you can see, the rates for packages weighing between 3 - 6 lbs. stayed steady year over year. Whereas, the cost for shipping both lighter and heavier packages increases. The Priority Mail Flat Rate Program is one of the most cost effective way to send heavy shipments across the country - specifically beneficial for Zones 5 - 8. Each package costs the same for up to 20 lbs. going to any zones, provided you use USPS Flat Rate packaging (which can be ordered for free on the USPS website). These are just a few highlights from 2017’s rate change. For complete details, click here. At Shippo, we aim to share with you the best services, best rates, and compare these for each of your shipments -- this applies to USPS, FedEx, DHL, and even same-day delivery services like UberRUSH.